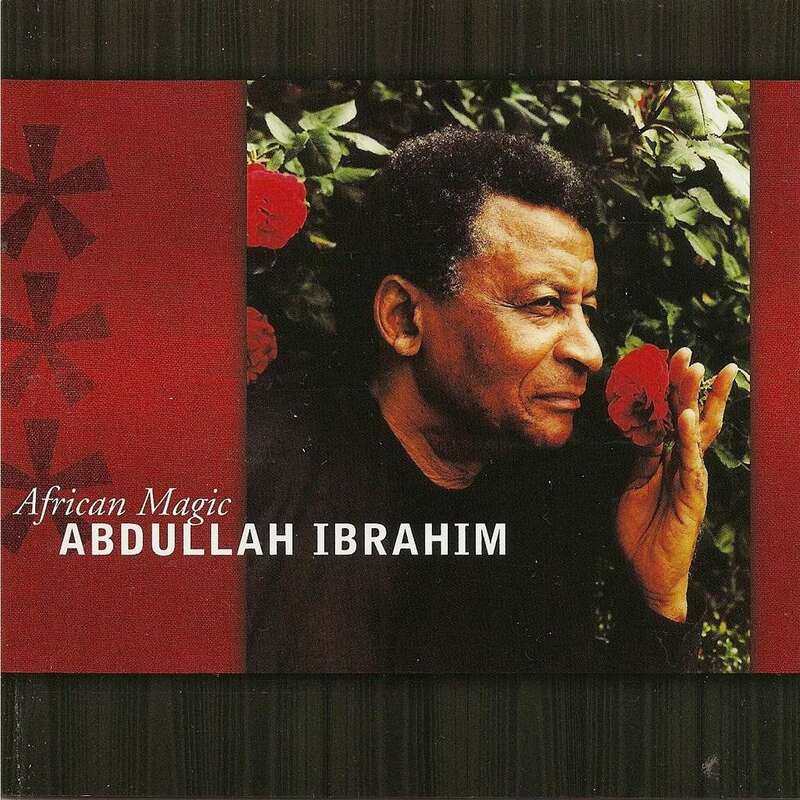 African Magic is a sweeping 24-part suite recorded live at the 11th and final Jazz Across the Border Festival in Germany in 2001 by the Abdullah Ibrahim Trio. Ibrahim’s trio features acoustic bassist Belden Bullock and drummer Sipho Kunene distilling the melodic sounds of South Africa into a personal improvisation of jazz, religious, and traditional world music coupled with European classical and chamber music influences. Recurring cubistic style fragments of Ibrahim’s multi-themed tone poem “Blue Bolero” are sequenced throughout this enchanting program and encourage listeners to participate in the invigorating rhythms that are abstract yet romantic. African Magic, which was inspired by nature, Duke Ellington, and Africa’s Diaspora, also features “Duke 88,” a 16-second sampling of “Solitude,” and “In a Sentimental Mood” in recognition of Ellington’s outstanding talent as a songwriter whose jazz standards have left enough room for reinterpretation by artists from around the world. Ibrahim’s six-minute tribute to John Coltrane also epitomizes the depth of Ibrahim’s talents as a composer and attests to his cubistic style of deconstructing and reconstructing, which he has also lent to such film scores as those for Chocolat and No Fear No Die. Overall, African Magic cannot be compared to any of Ibrahim’s previous concerts. However, it deftly captures the emotion, exploration, and exciting impulses generated from the stage that evening. A must-have for any serious jazz collection.